The cottage is the original stone farmhouse, built in the late 1800's. 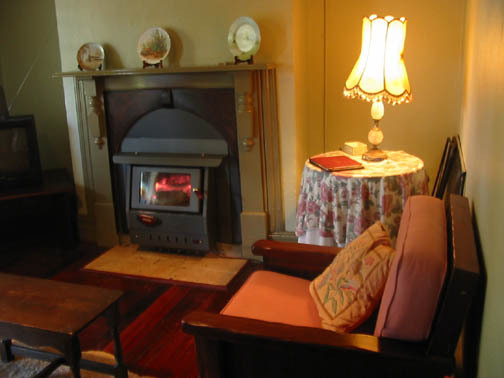 This beautifully restored building is now the self-contained guest accommodation. 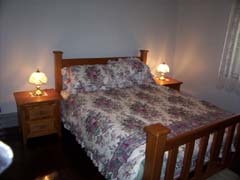 2 bed rooms (one with queen, one with 2 king-singles plus double bunk). Sleeps 6. Lounge with enclosed wood fire, fan, tv, dvd.